Dr. Mary Lamia is a clinical psychologist, psychoanalyst, and professor in the San Francisco Bay Area. Dr. Lamia's career-long passion for encouraging emotional awareness in adults, adolescents, and pre-teens is exemplified by her books. 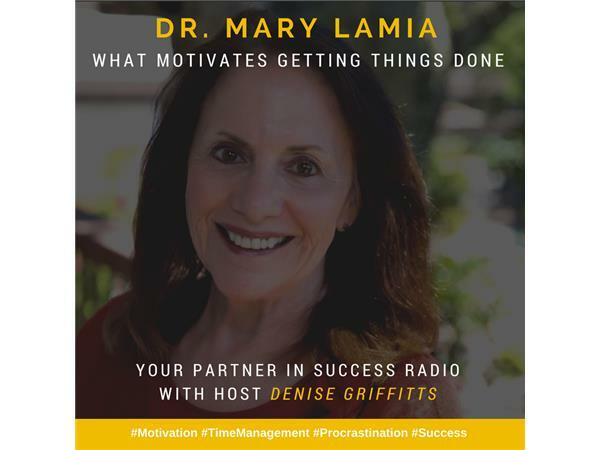 She is the author of What Motivates Getting Things Done: Procrastination, Emotions, and Success; Emotions! Making Sense of Your Feelings; and Understanding Myself: A Kid’s Guide to Intense Emotions and Strong Feelings. She also co-authored The White Knight Syndrome: Rescuing Yourself from Your Need to Rescue Others and a forthcoming book, The Upside of Shame. Her blog posts for Psychology Today and Therapy Today web sites illustrates her endeavor to convey an understanding of emotion and its significant role in who we become.